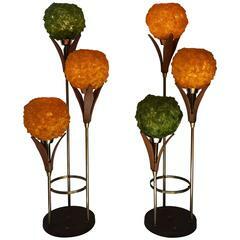 Planets floor lamp - Ludovic Clément d’Armont Blown glass and brass Dimensions: 220 x 55 x 55 cm Each creation is unique. Ludovic Clément d’Armont is in the continuation of a family tradition of centuries of gentle glassmakers, painters, carpenters and artists. Both engineer and artist, he imagines new lightings combining creative emotions with optical, electronic, thermal, environmental, electrical, chemical, color, energy, mechanical and medical knowledge. His pleasure is do discuss with his clients to achieve the ideal model. Ludovic presents his approach: “First, the simplicity of my work is based on a fundamental thought: an artistic evocation of nature. My creative process marks the new identity of mathematics and nature: the selective experimentation of the nature and human research lead to the same decisions. That is why, analysis and experimentation mingle in my creation. Because the intelligence of nature is only the long time of his experiments, just like that of man is only the number of its research. The aesthetic result aims to illustrate and proclaim this, in a dreamy and amazed shout, showing the fusion of sciences and life. The place of the Man inside the Universe becomes clear. Emotions and sexes are the result by elimination aiming to perpetuate: without absolute, humanism becomes the demonstrated organization of society.” Semeur d’étoiles gathers around Ludovic Clément d’Armont artists, engineers and craftsmen to design and manufacture exceptional light creations. As decorative lighting is often disappointing, Semeur d’étoiles creates more than just lightings: we make art pieces. Semeur d’étoiles is not limited to a material or a technique: we find new ways of manufacturing blown glass, crystal, porcelain, metal. Simultaneously, we work the light in theoretical and experimental ways so that it echoes with these materials, textures and shapes. This enables us to offer new and various light effects. To put these effects in volume, Semeur d’étoiles relies on its mastery of technical complexity. Nevertheless, we hide the technical components so that only the beauty of light and materials can be seen. Semeur d’étoiles is committed to an eco-design approach with ADEME (recyclable materials, manufacturing processes, reduced packaging, transportation, reduced consumption, recycling). And as ecology is nothing without human respect, Semeur d’étoiles also takes great care of supply. A creation can result of your own inspiration: each of our pieces can be customized. We propose numerous models of LEDs (a variety of shades of white, lens shapes and light intensities), a wide range of materials, dimensions, shapes, finishes, etc. 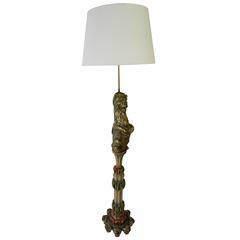 If you wish, we will create for you a unique and spectacular piece. The originality of our creations and our technical skills are evidenced by the loyalty of our customers, by our internal laboratory, by the grant of patents and models and by the obtained distinctions. 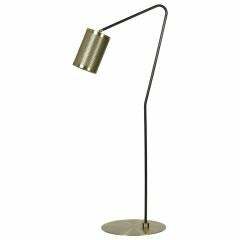 Brass and metal adjustable floor lamp. 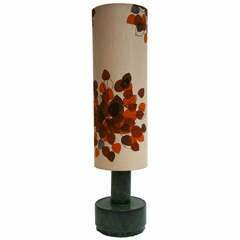 Diameter shade: 26 cm. Diameter base: 24 cm. Maximum height: 180 cm. Minimum height: 140 cm. 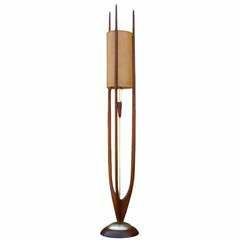 Sculptural walnut and brass floor lamp with original shade by Modeline. 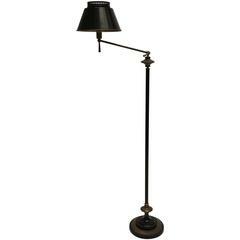 Two floor or table lamps. Measures: Height 106 cm. Diameter 42 cm. 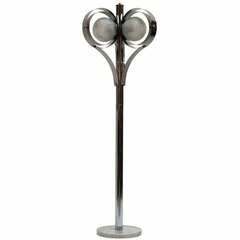 This extraordinary Pierre brass floor lamp is a perfect example of refined modernity with a decidedly luxurious edge and a hint of nostalgia. More options available. 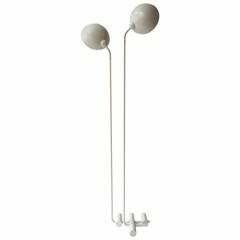 Italian ceramic floor lamp. Height:125 cm. Diameter:30 cm.